When Mother Moon created the sun, she also inadvertently created something twisted: the celestial snake Darkness. Each player will guide a mighty warrior and traverse a world of shadows, spirits, and other dangers as they combat the coming night. Will you make the ultimate sacrifice? Will you become a mighty warrior, able to fight off corruption? Do you have what it takes to face the Darkness? 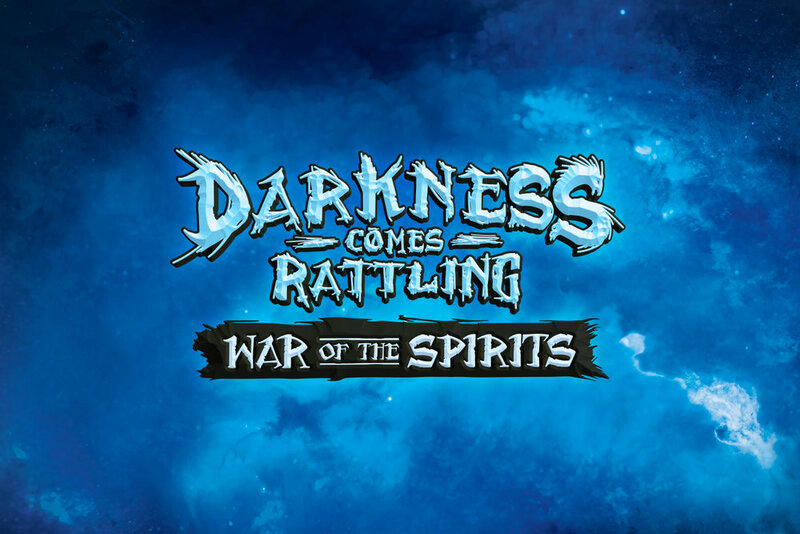 War of the Spirits is a digital-only expansion for Darkness Comes Rattling. It includes a quest system for the game that allow the players to take on Darkness in a new way, adding new difficulties to the game. Players can now take on Darkness directly as a group, foregoing venturing inside the snake to free the Sun. To do this, they must gain the Winds' Blessings and keep the world pure. The better the players do, the weaker Darkness will be when it is forced to manifest on Tallil. The game rules for War of the Spirits can be found below, and the components can be printed on-demand from DriveThruRPG by clicking on the image above (coming soon). Come explore the world of Darkness Comes Rattling with two new characters: Amenset and Janbaaj! These two characters provide new options for players to take on the challenges of the world of Tallil by providing new character skills. Click on the image above to download both characters' Warrior and Spirit cards so you can get them in your game! Download the rules for the expansion here!